When most people think of Alaska they conjure images of glaciers, vast mountain ranges, snowy peaks, and beautiful forests. 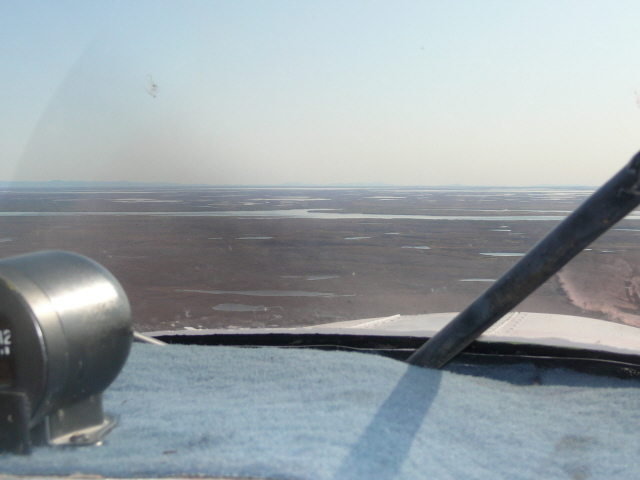 While much of Alaska does fit that description, one would not find any of those things in the YK Delta. 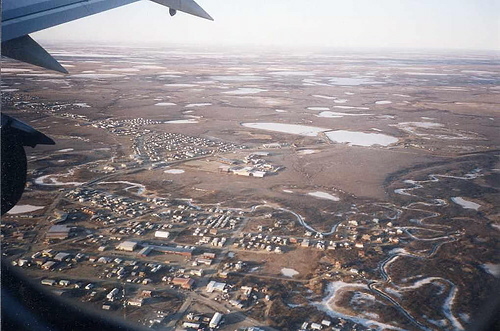 The YK Delta is one of the few non-mountainous areas of Alaska and has very little by way of scenery or even trees! The tundra has a beauty of its own but it does take some time to get used to and some people never do. Our weather is moderate compared to other areas of the state. We are colder than Anchorage but do not have the extreme cold of Fairbanks or the North Slope. Our average temperature in the winter is around 8 degrees and the coldest is usually around -30. What makes our winters difficult are the high winds that sweep over the empty tundra and drive wind chills down much farther. Average summer temperatures are around 55 and our warmest days will hit 80. In general our weather is more humid than much of Alaska with lots of persistent cloud cover and scattered showers. We have about 143 days of rain and 17″ of annual rainfall and 53″ of snowfall. Our winters will last from October through the end of March and we will see our first green leaves around the end of May. Click here to find Bethel’s current weather. 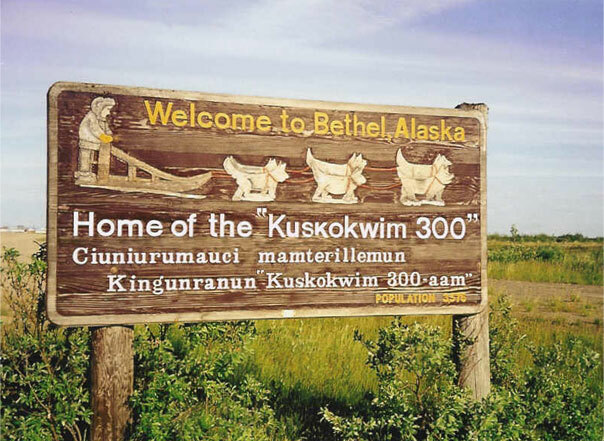 There are no roads in this part of Alaska and the only way to reach Bethel is by airplane. (A round trip ticket from Anchorge is about $500) Everything comes into town either by air cargo, which runs all year, or by barge during the summer months. Consequently, most things are pretty expensive. We are fortunate in Bethel in that the town is big enough to support two grocery stores and we can buy most things that are available in the forty-eight if you are willing to spend the money. Here are some common items and their current prices in Bethel. These reflect our summer prices when things are a bit cheaper because the barges bring goods in much greater quantities than cargo planes. Things that are bulky or heavy will be more expensive because of shipping costs, and any cleaning or aerosol products are considered hazmat and incur extra shipping fees. Any trip to Anchorage involves lots of shopping and many folks will take extra luggage or plastic totes with them and fill them with groceries and bring them home as luggage. On any trip back from Anchorage it is common to see someone carrying a McDonald’s happy meal or a bucket of KFC on the plane. These are rare treats and are treated as precious cargo. There are several locally owned restaurants in town and we also have a NAPA aotoparts and a hardware store which makes life in rural Alaska much easier since everything tends to be a do it yourself project. Many years ago the city of Bethel mandated that all homes in town must have running water for sanitation reasons, so honey buckets are no longer used in Bethel. Our water comes from a city well and is treated and distributed by the city. About half of town is on “city” water which carries water to and sewage from buildings via above ground insulated pipes. The other half, which includes most of the residences, is on “haul” water. Each house has a water tank that can be located inside or outside the house and is filled by city water truck. Likewise, an external sewage tank is sucked out and the waste carried off by sewage truck. The size of the water tank will vary according to the size of the house but most are 1,000 gallons and can be filled according to the household’s needs (twice a week, once a week, twice a month, etc…). This makes water conservation an important household issue because the cost of water delivery increases significantly the more often it is delivered. We have a 1,000 gallon tank at our house and we use about 750-800 gallons a week. For our house the monthly cost of water and sewage service is $340 a month. Most energy comes from fuel oil and electricity. Almost all homes are heated by fuel oil stoves or boiler systems. 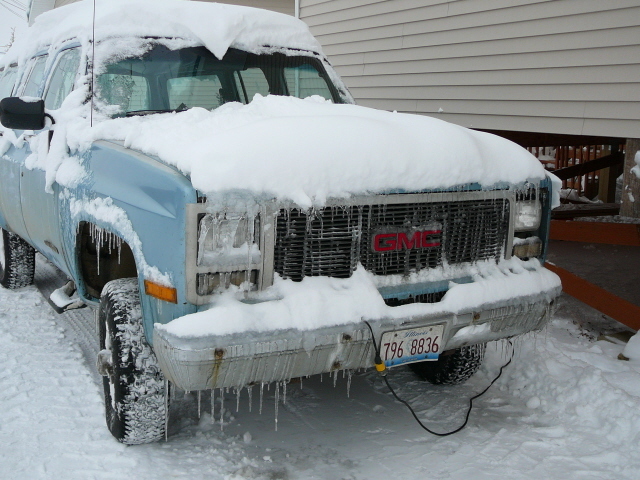 The current cost of fuel oil is $5.90 a gallon and during the coldest months it is not unusual for some households to spend $800 – $1,000 a month for fuel oil. Electricity is generated for the city by a diesel generator plant and after subsidies from the state our cost of electricity is about 3 times the national average.